Tied with a Ribbon: Sweet Home - How sweet it is. Sweet Home - How sweet it is. 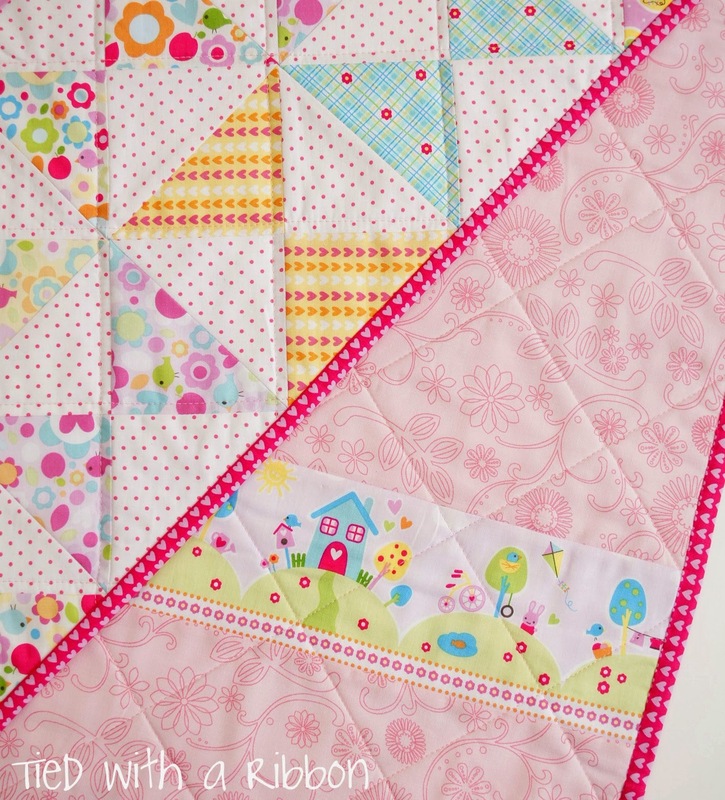 It is easy to create beautiful quilts when you start with beautiful fabrics. 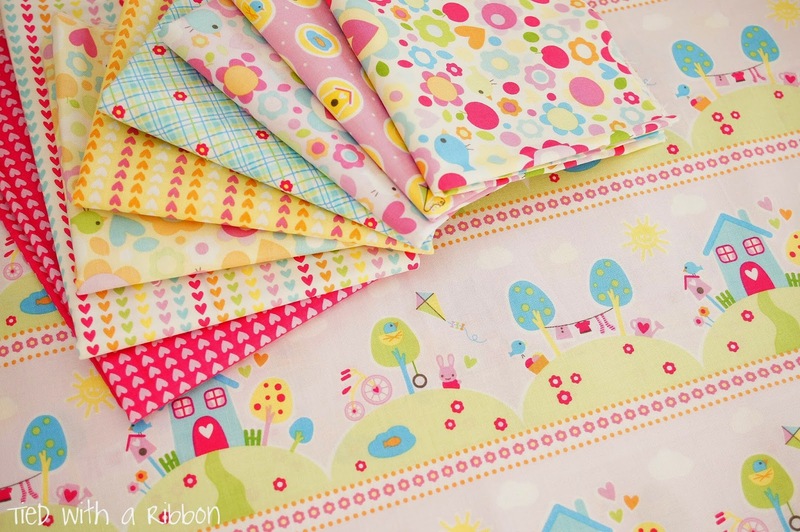 I have been sewing with Melly and Me's latest range "Sweet Home" from Riley Blake Fabrics for Millhouse Collections. And it is just the cutest! The range includes a beautiful feature Main print with just the right mix of co-ordinating fabrics with flowers, characters and geometric prints all to complement in three different colour ways. Of course I had to go pink! I just knew that my new pattern - Hop, Skip, Jump! 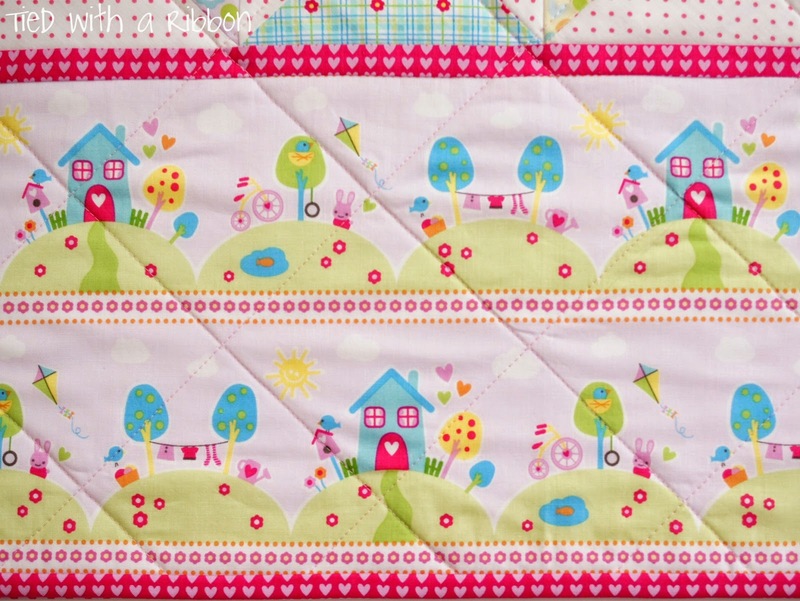 would just be perfect for these fabrics with such a beautiful panel print to feature. 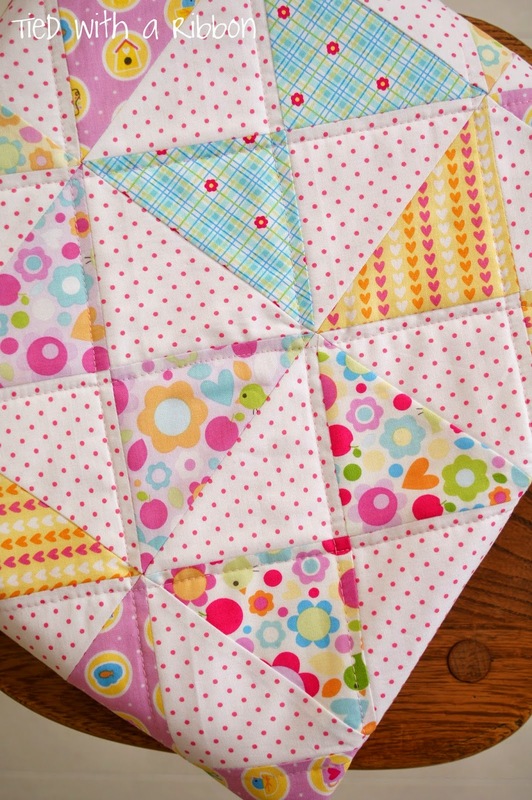 I pieced this quilt using Aurifil in #2024 - my go to white! I used 50wt for the piecing. Ta Da! 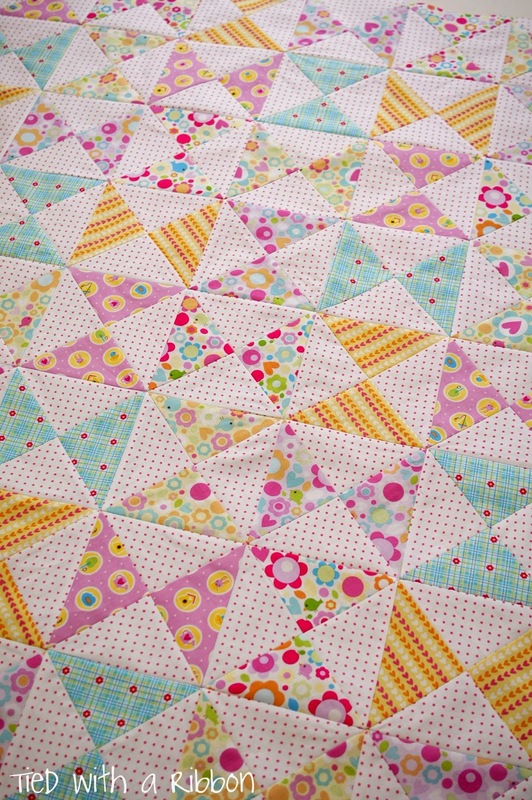 I machine quilted it using the lines in the quilt and echoed this through the feature print. 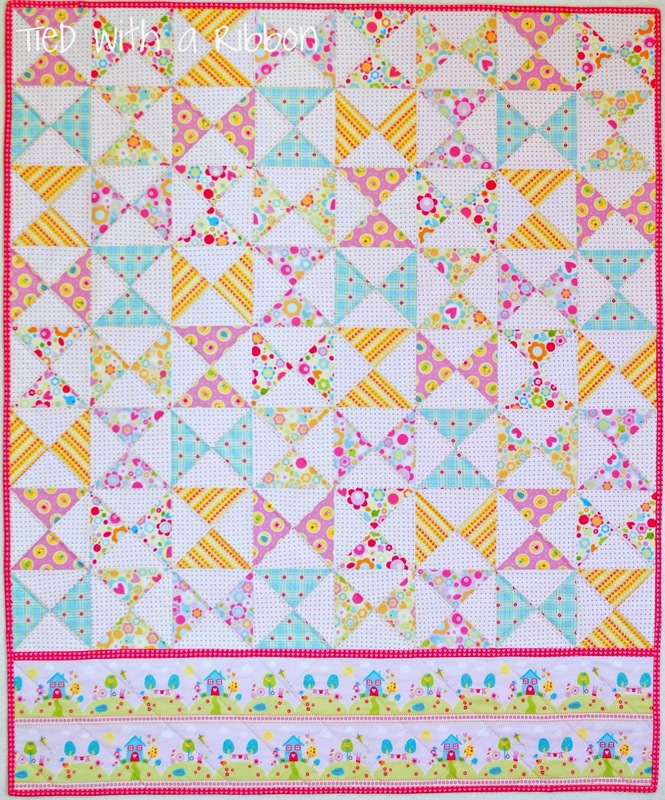 For the machine quilting I used Aurifil #2423. Just the perfect shade of pink to work across all the colours and even through the white and pink spot background. 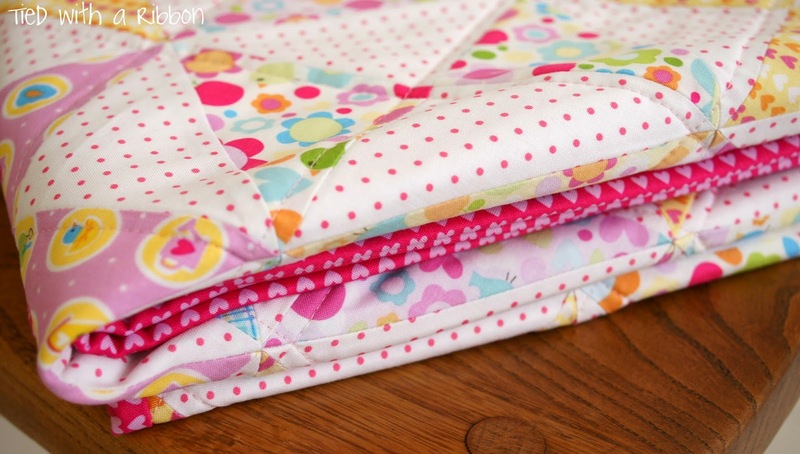 For the binding Aurifil #4020 was just perfect to match the hot pink heart fabric. I could not resist putting a strip of the feature print through the backing. Melanie from Melly and Me has a new range that will be out in December called Wildflower Meadow - this range looks equally as beautiful. Head over to my Etsy store and you can download the PDF Pattern direct to get sewing straight away. 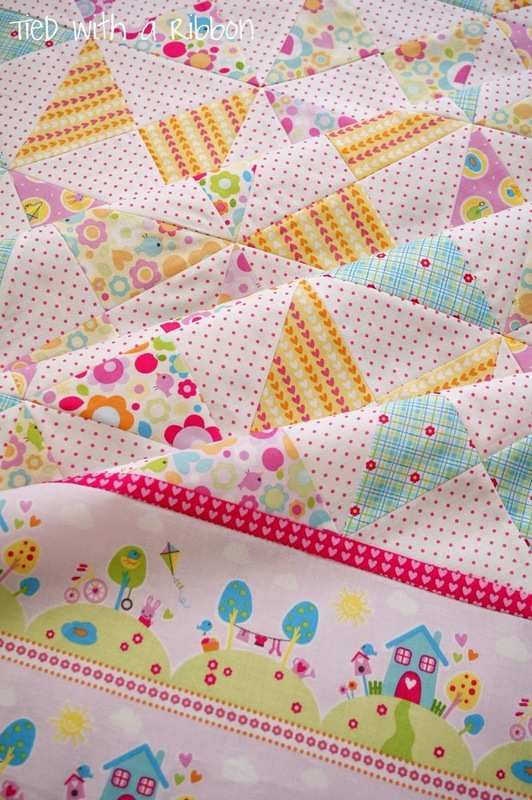 Starstruck Quilt - new Quilt Pattern! "Oh Boy" - such a fantastic range for the Boys!